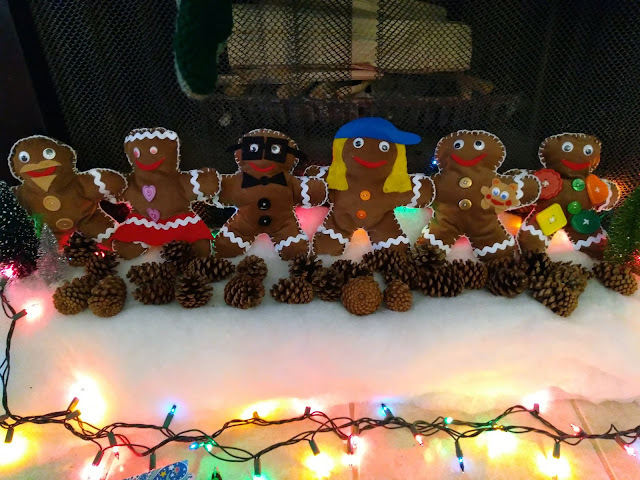 When I was a little girl my mom had made these Gingerbread people to represent each of our family members. She would get them out each Christmas to display next to the Christmas tree. 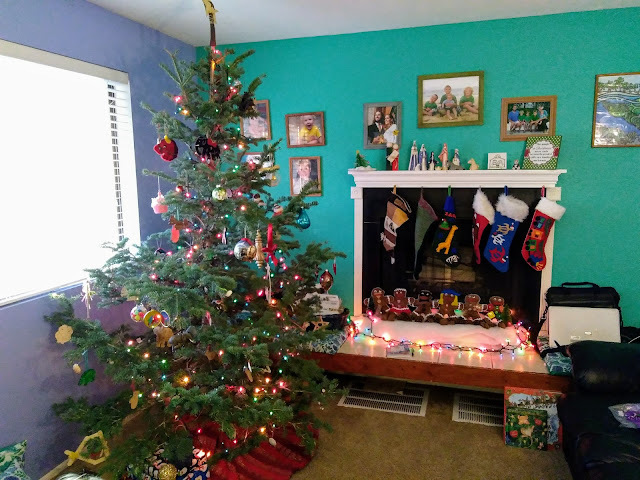 I remember they smelled of cinnamon and love and felt like soft corduroy and holiday happiness! So this year I decided to make my own versions of the Jackson Gingerbread family to display next to our Christmas tree. Each one represents one of our 6 family members, with a distinguishing characteristic to tell them apart. They are scented with rice-infused cinnamon oils inside their tummies so they'll smell delightfully delicious each Christmas season that I get them out. I love how they turned out! 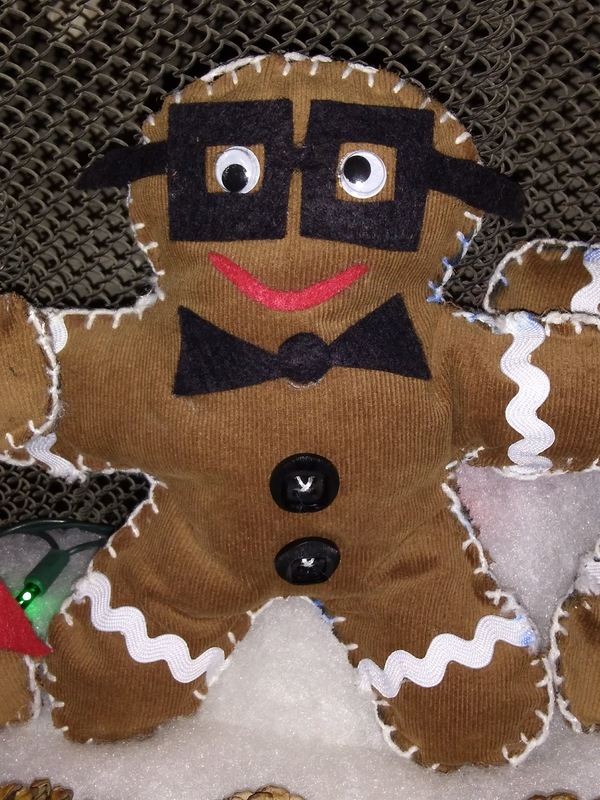 This was definitely one of my favorite Christmas crafts to make! I started out by googling for a gingerbread doll pattern and found this pattern on the internet. It seemed like the right size for what I wanted. I then printed it out and used it to cut out a corduroy pattern. 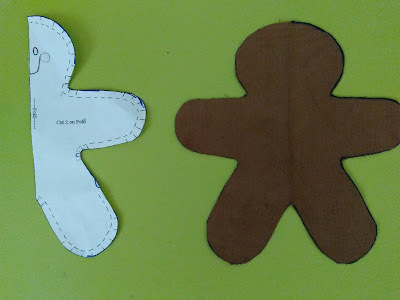 I figured it would be easier to pin fabric to fabric rather than pin paper to fabric each time I cut out a gingerbread person. (and it was!) 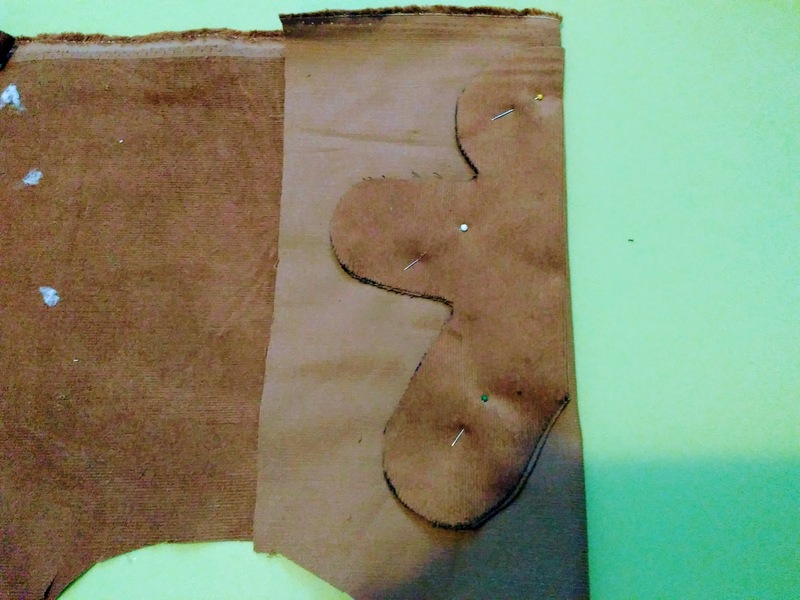 With the fabric folded in half, this pattern will make one full sized half of a gingerbread doll. Next I decorated the top halves to look like my family members. I used googly eyes, buttons, ric rac, and various colors of felt to make distinguising characteristics for each doll. It is much easier and looks way better if you decorate them first before sewing them together. 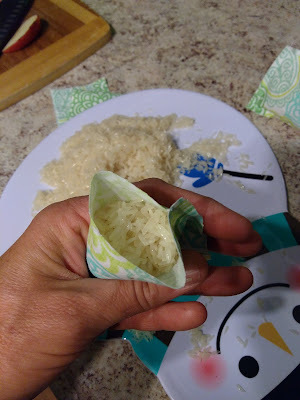 For the scented smell I made little satchels full of rice that I had soaked in Cinnamon Swirl warming oil for several days then filled about 2 tablespoons of rice into each satchel. I stuffed one satchel each into the tummies of the gingerbread people as I was sewing their sides up. I also stuffed each doll with polyester toy filling. Note: This particluar warming oil is a skin and eye irritant if contacted with. I wouldn't use it to fill a stuffed animal that a child is going to be sleeping or cuddling with. 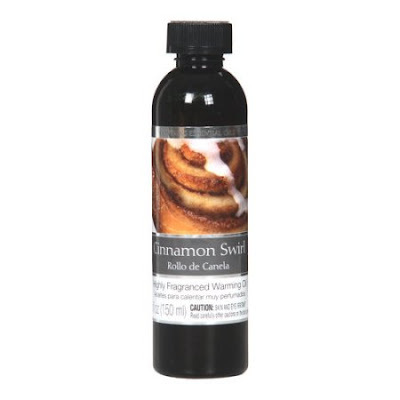 I wouldv'e used natural Essential oils but I couldn't find one that smelled deliciously sweet like Christmas! I used a blanket stitch to sew up the sides of each doll then went around the edges with a Fray Away glue to seal the edges from possible fraying. And ta-da! 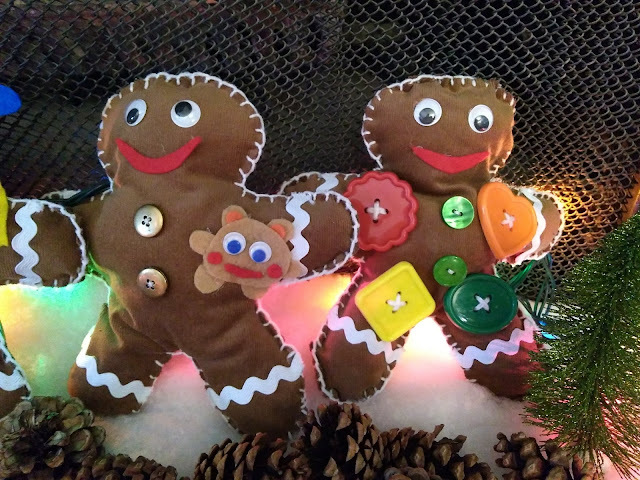 The Jackson Family Gingerbreads were born!